PEOPLE PLANNING TO go for a swim on Christmas Day have been warned that Irish waters will be more hazardous than usual because of a full moon. The Christmas full moon, which only occurs around once every forty years, will cause strong tidal streams and will increase the strength and speed of rip currents. The last time a full moon happened on Christmas Day was 1977. Hundreds of people are expected to take part in charity swims around the country tomorrow morning in what has become something of a tradition in some counties. Irish Water Safety has called on swimmers to be extra careful about the strong tidal streams. A spokesperson said people should not overestimated their own ability, or the risks associated with colder water. Irish Water Safety has also called on the organisers of charity swims to pay attention to sea conditions and to postpone or cancel the swim if the conditions deteriorate significantly. The next time a full moon falls on Christmas Day will be 2034. Email “Swimmers warned that full moon will make Christmas Day swims more hazardous”. 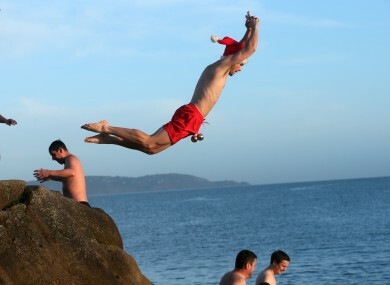 Feedback on “Swimmers warned that full moon will make Christmas Day swims more hazardous”.